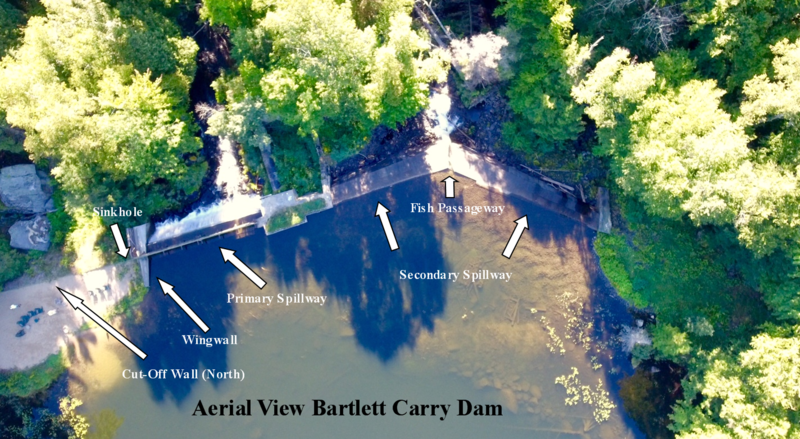 Most of us on Upper Saranac are aware that there is a dam at the lake outlet. Did you know that this structure is owned and operated by the Upper Saranac Foundation and maintains the lake water level approximately four feet higher than before the dam was built? Imagine your favorite spot along the shoreline with the water level four feet lower. For those readers interested in more detail on the dam, please read the ‘history of the dam’ at the bottom here. In short, the dam was built in 1915, and there was major reconstruction by the USF in 1994. Since the reconstruction of the dam in 1994, little maintenance had been done until the summer of 2011. 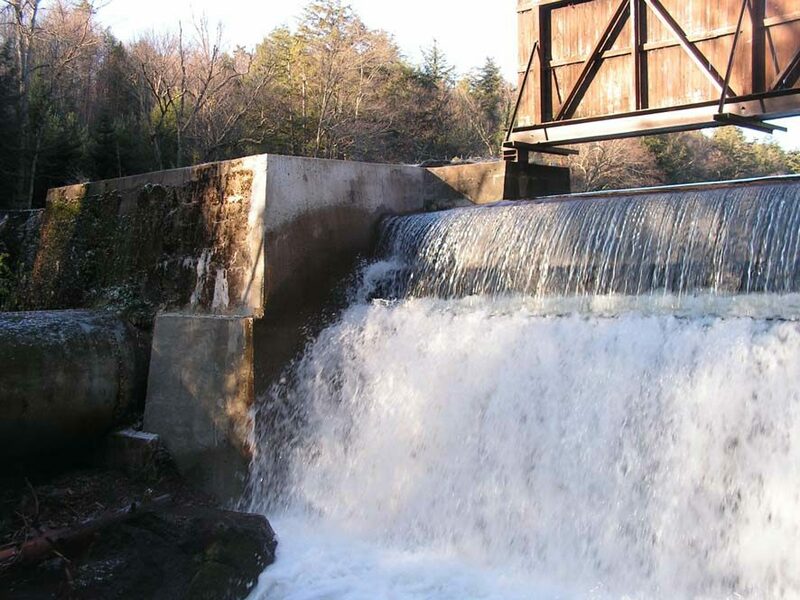 As part of New York State DEC mandated requirements for dam safety, the USF has assured compliance. The Foundation has hired a professional Engineer to oversee our ongoing dam related projects and assist us in preserving our Dam. We have also developed and implemented an Inspection and Maintenance Plan, have routine safety inspections conducted by the Lake Manager and a professional engineer, obtain an annual DEC certification, and most recently developed an Emergency Action Plan prepared by the Engineer.